The latest teaser for Zack Snyder's Man of Steel is an effective one. 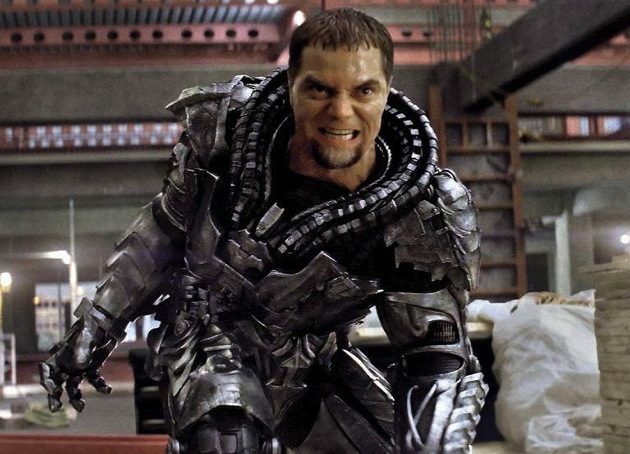 The clip introduces General Zod via a grainy video transmission that makes Superman's arch enemy look a lot creepier than he does in production stills. The calm way in which the baddie warns that the planet Earth will "suffer the consequences" if Kal-El (Superman's Kryptonian name) doesn't surrender is also a nice chilling touch. There may be more to look at in a couple of days or so. ComingSoon.net reports that another site IWillFindHim.com is counting down from 48 hours, possibly for a trailer. Since I can't read Kryptonian, or whatever language that is on the screen, I'll take their word for it. That's because he wears a mask in the film, check out the fancy dress costume for him.